In February 2015 I was out walking the dog when about 20 runners went past me on link road this happened a few times on a Tuesday on Thursday at various places in the village. I did notice that one of the runners was Carla Moorley one of my neighbors. The next time I saw Carla I asked her about it and she told me they went out on a Tuesday and Thursday. I plucked up the courage to go down to the library one Thursday night and haven't looked back really, I was 21 stone when I started that year and needed to get fitter and shed some timber. 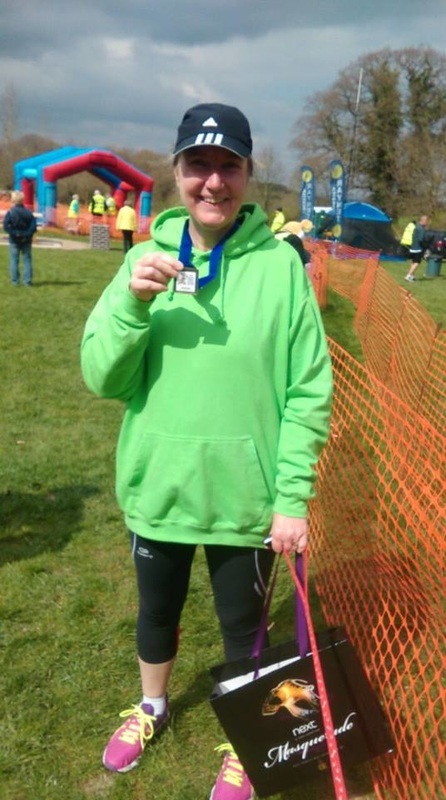 My best 10k time when I started at the club was 1 hour and 9 minutes, when I entered my first race in March (the Desford 10k) I was 2 stone lighter and my time was 59.02 which I was over the moon with. I have had many issues with incorrect footwear over the last year but after visiting the Running Fox (which was recommended by members of the team) it looks like I have sorted that out not now. I would say my proudest moment so far is completing the Nottingham half marathon after just 8 months of training . As for tips, only ever set achievable targets - don't spend to much time trying to beat PB's "just enjoy it." I have had a few injury issues but the support I have received from the club has been second to none and hopefully I am back on the mend now. What I will say about the club is that it is run in a very professional way by a very enthusiastic team and some of the members are now some of my closest friends. On a personal level joining the club was the best thing I did in 2015. 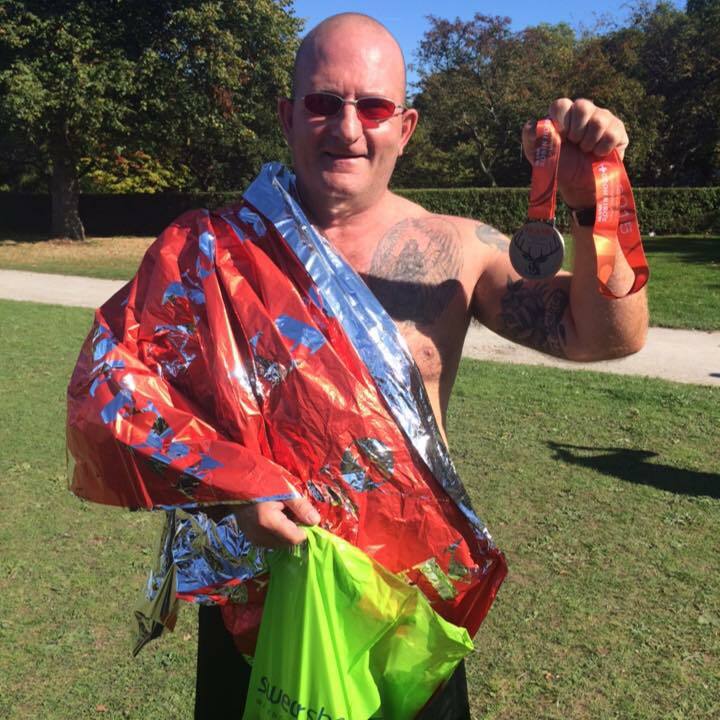 Why I started running : I had lost a lot of weight after stopping smoking, 4 stone to be exact and I wanted to a) keep the weight off and b) make the most of being more streamline. A friend who already ran had been nagging me to do C25K and so eventually despite not wanting the world to see me in lycra, I stepped out the front door, ready to run 5k and you guessed it, I couldn't get to the first lamp post before feeling as though was going to pass out. Not wanting to be defeated I carried on and soon was running 5k regularly. After some persuasion I signed up for my first 10k in Feb 2014. I enjoyed the experience, but did say I would probably never do another. My Journey. I continued to run, with no specific goals and around Oct 2014, I saw something on facebook about this new club, Team Anstey Amblers and Runners. I had thought about joining a club but whenever I saw my local group out (I live in Syston), they all looked way too quick for me. Anstey talked about being inclusive and encouraging all abilities. I could not make the first week, but on the second week, dragging my friend along for moral support, along I went......so nervous, so unsure but I cannot express how pleased I am that I did drag myself along. It was everything I was looking for, encouragement, support, friendly faces and although I will never be the quickest, I have progressed and I continue to surprise myself. My best achievements: I cannot believe I am saying this now, but in Sept 2015 I ran 2 half marathons, including the Great North Run (again, that was something I was never going to do). So many other races I cannot even begin to remember and so many I have a medal hanger for all my bling. My running diary for 2016 is so full of really exciting events coming up including 3 more half marathons. My biggest achievement however has to be that my husband and daughter are now running regularly with the club and I am loving that we can do something together. Top Tips: Do not let the fear stop you from starting. Everyone has to start somewhere and we have all been there and so can relate. We all have times when we lose our mojo, being part of the club helps you through those times. Remember whether its a 15 minute mile or a 5 minute mile, its still a mile.